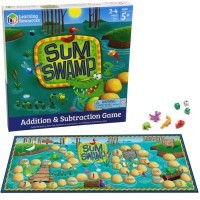 Drive around the farm picking up animals in your tractor when you land on addition spot, and dropping them off as you get on subtraction cell. 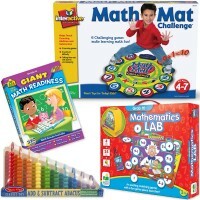 Have mathematics fun with a game sure to entertain everyone! 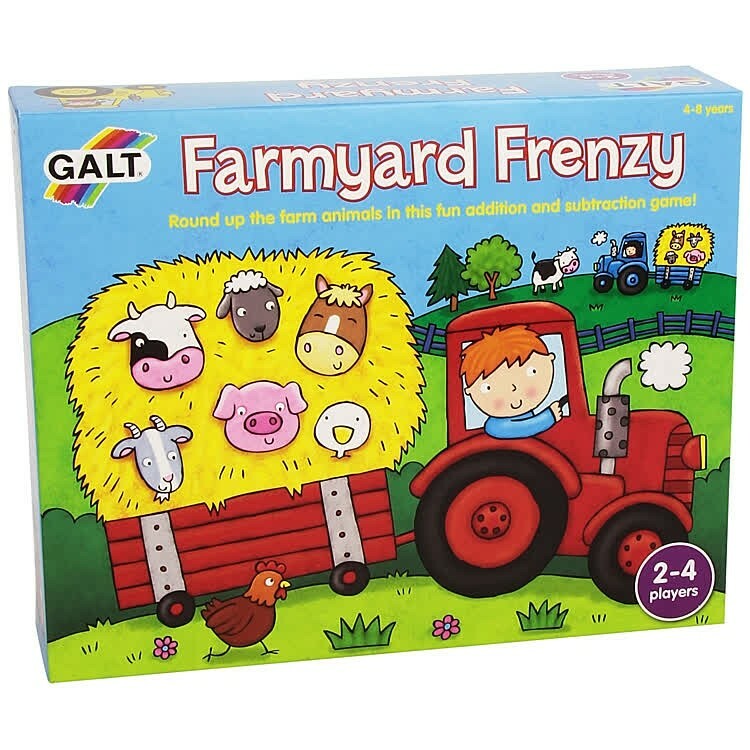 Farmyard Frenzy Addition & Subtraction Board Game by Galt Toys is an exciting way to learn and practice simple math operations: addition and subtraction. 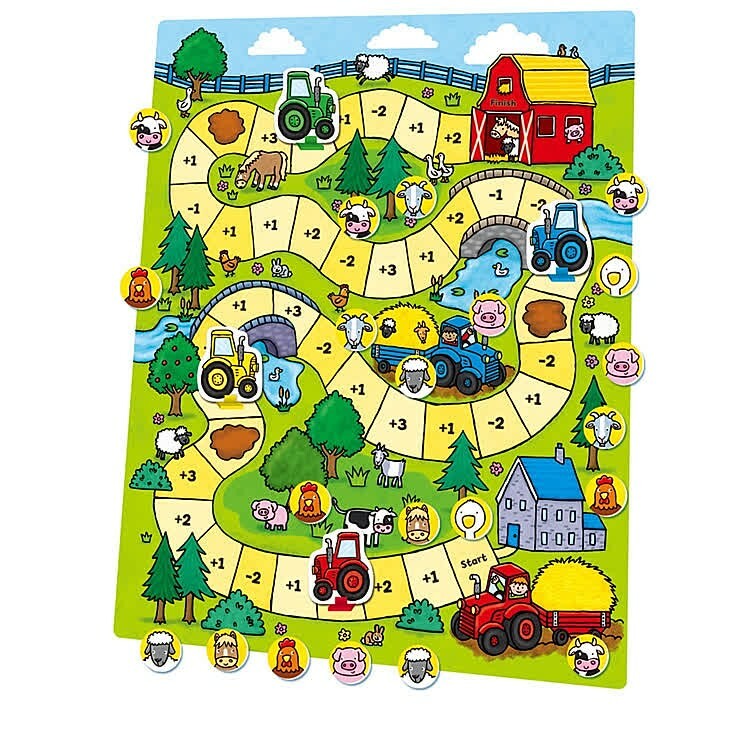 This farm themed board game features a farmyard with a math path. 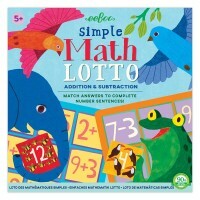 Each stop on this path adds 1, 2, 3, or 4, or subtracts 1 or 2. 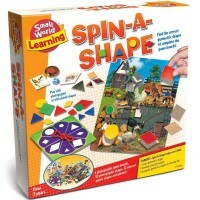 Players drive their tractors pickup barnyard animals and solving simple math problems on the way. 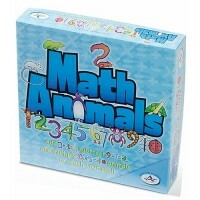 Got on '+3' - you get 3 animals. 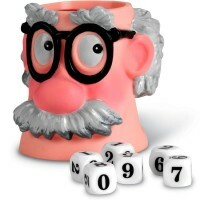 Got on '-2' - you drop them off. 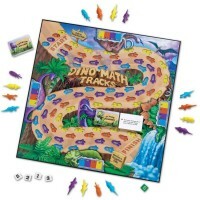 Whoever can get through this math problem solving road faster to the red barn, wins the math learning game. 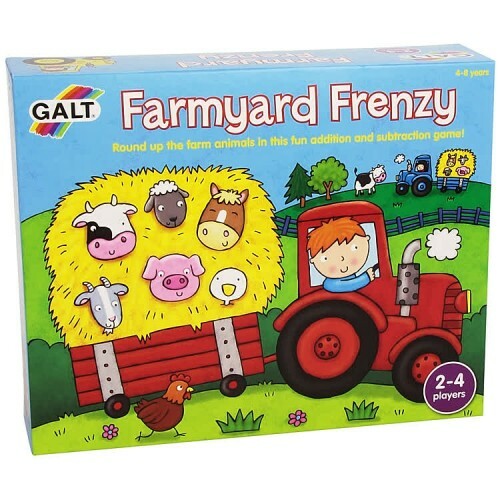 Farmyard Frenzy game from Educational Toys Planet is a really fun way to introduce addition and subtraction for beginner mathematicians. 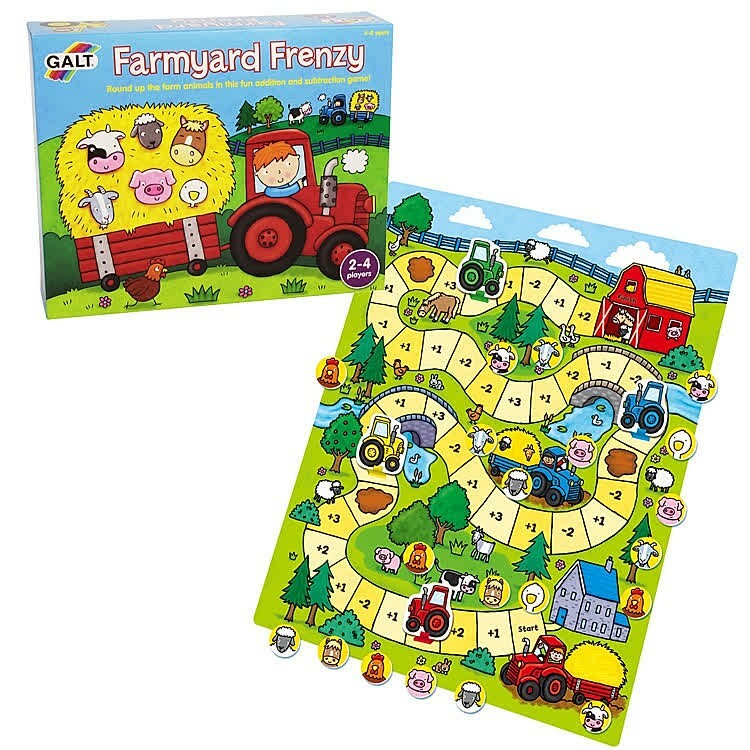 Farmyard Frenzy Addition & Subtraction Board Game comes complete with 4 tractor playing pieces with stands, 4 tractor and trailer playing boards (9 x 4 inches), 42 farm animal tokens, farmyard game board (19 x 16 inches), dice shaker, and game instructions. 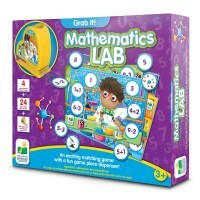 This math teaching board game is designed for 2-4 young players. 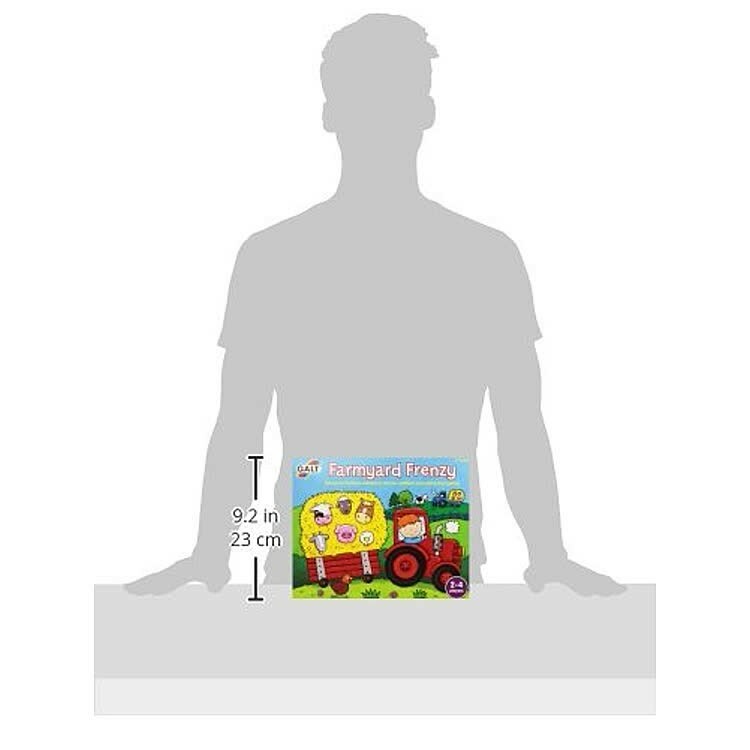 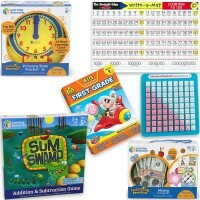 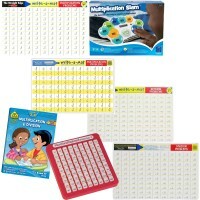 Dimensions of package 11.1" x 2.83" x 8.9"
Write your own review of Farmyard Frenzy Addition & Subtraction Board Game.